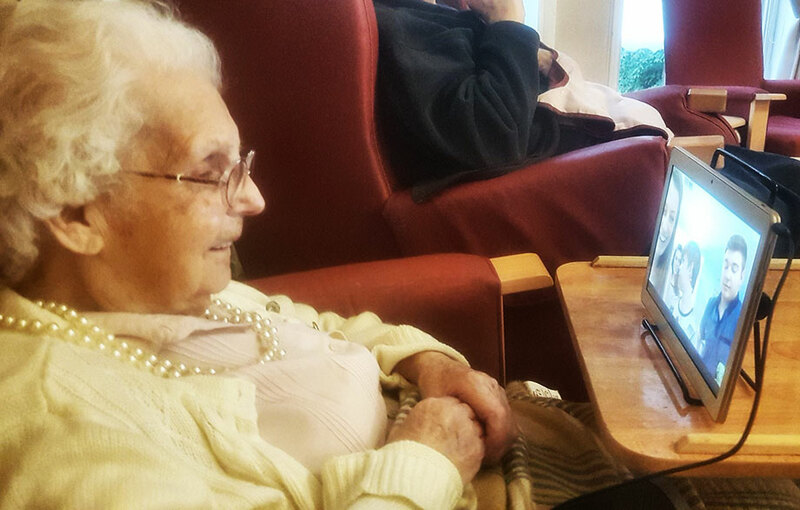 101-year-old Sharston House resident Ada reunited with her great niece in Australia by Skype! Staff at a Knutsford nursing home have used computer technology to bring together 101-year-old resident Ada McNamara with her great-niece in Australia. Mrs McNamara, who has lived in Kingsley Healthcare-run Sharston House, in Manor Park South, for more than a year, was able to chat with Nikki Haberfield and her children George, 19, Millie, 16, and Alfie, 10, during a Skype call organised by activities co-ordinator Maylinda Bajqinovci. She said it had been “so wonderful” to catch up with Nikki whom she had not seen since she emigrated in 2009 for a new life in Adelaide with her husband who runs a painting and decorating firm. “They are so far away but it felt so close talking to Nikki and her children over the Skype,” said Mrs McNamara. 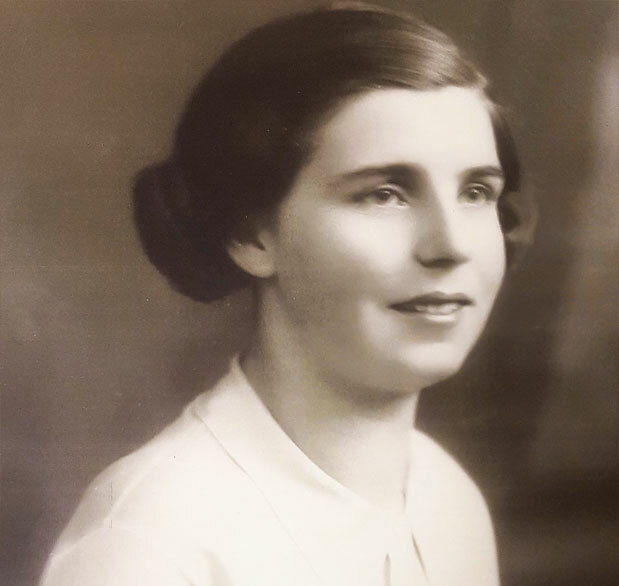 Mrs McNamara, who was born in Ardwick, Manchester on May 2, 1916, moved to Knutsford at the age of three months and has lived in the town ever since, working in a local laundry. She got married to Horace, a school caretaker, but never had children of her own; Horace died in the year 2000. 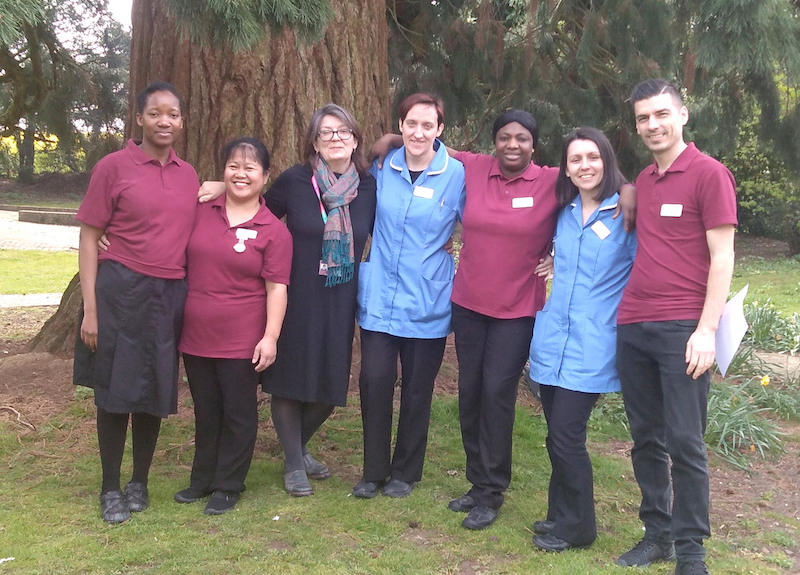 Following the call Nikki, who works as a teaching assistant, emailed her appreciation to the home saying: “Thanks Maylinda, it was very special for us all to be able to see and speak to Ada. She hasn’t really aged and looks amazing for 101. Miss Bajqinovci said: “Ada was very surprised and grateful to have seen her great niece after such a long time. Mrs McNamara’s niece Anne Finn, who works for an undertaker’s in Knutsford, described the 101-year-old as like her “second mum”. Find out more about Sharston House nursing home in Knutsford, Cheshire.